We had 3 different artists displaying their work with us until 9th May. The main one being Paul Hoare in the main cafe area. Paul is inspired by the Cornish light, on the land and the sea. 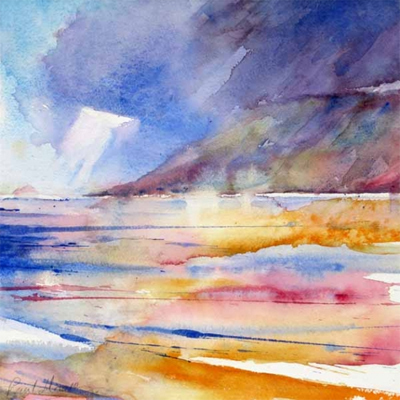 He likes to work en-plein air and also in his studio which overlooks Trevaunance Cove in St. Agnes. Paul has had his work accepted for the prestigious Royal Institute of Watercolour Painters at the Mall Galleries, London, on three occasions. This highly competitively selected exhibition features the leading artists in watercolour in the UK, including his Royal Highness Prince Charles. Paul has recently been selected as one of the final 100 artists in the Sunday Times Watercolour Competition and has also been a grand finalist on the Channel 4 programme Watercolour Challenge. He has exhibited at galleries in London and the Home Counties, as well as having work accepted by Museums and overseas clients. A beautiful selection of paper cuts by Trish Dunn were display in the downstairs coffee shop of Truro Arts Company. Definitely worth checking out whilst having a coffee break and a slice of cake! Paper cutting is Trish’s favourite past time and she finds it very relaxing. She is crafty in many areas including card making, micro macramé jewelry and book folding. The pictures are designed by Deborah Street of Bramble Crafts and hand cut by Trish on A4 120g hammered paper, each cut can take up to 10+ hours and uses up to 12 blades. After retiring from 42 years of teaching, Trish and her husband moved to Cornwall. She has two daughters and three grandchildren. Trish was born with only one hand so likes to say that each piece is cut with lots of love and three quarter hugs. ‘Sily Tily’ is the brain wave of her husband Stuart. It stands for Stuart I love you, Trish I love you. aaahh. Laura was one of the last students to complete the Contemporary Craft BA course at Falmouth University. 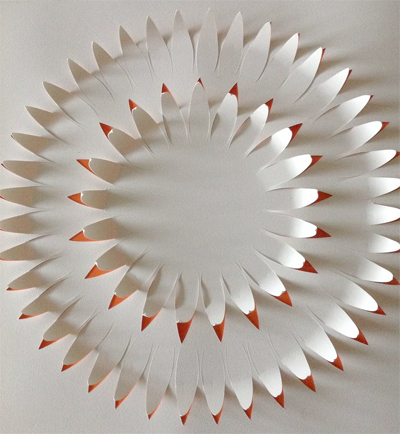 She uses handmade paper to create her intricate, almost mathematical designs. 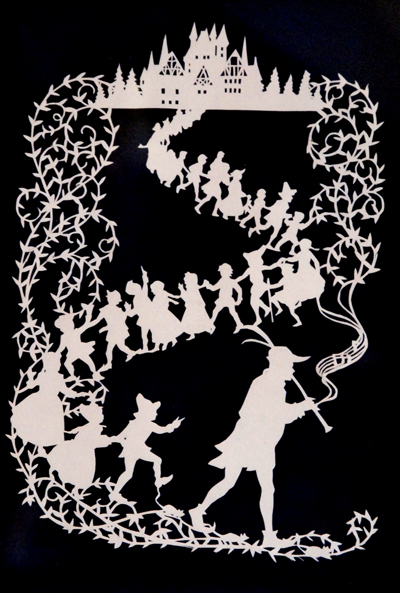 As well designing and hand cutting her own wonderful paper cuts she specialises in sculpture, ceramics and glass. Laura also took part in last year’s City of Lights parade where she designed and made her own lantern.